Astor Bell's eastern outpost is Wunderblock, a collaboration project out of Moscow, Russia. Three masterminds met up to create something new, all adding their different spice to the soup. Michael Teploff is known for his Ill Doggy releases on Salo Records, Berlin and as one half of Multipliar (the other half being Anton Kubikov aka SCSI-9) on the infamous Cologne imprint Trapez. Here he has teamed up with ambient producer Igor Ivanov and local DJ Vladimir Kochenov to push his own limits. The result coming out of this creative pool is not only proof of outstanding handicraft skills, but also the combination of several disparate sources of influence, far beyond the expected minimal heroes. 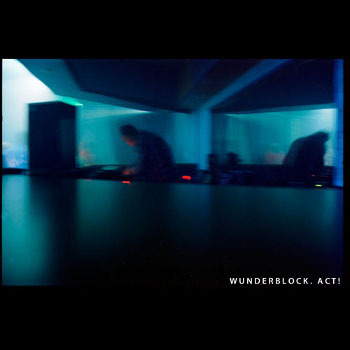 Pioneer composers within art music as well as film scores and visual artists have all played an indirect role in forming the Wunderblock sound - an eclectic mix of minimal techno, house and dub with a touch of ambience and a jazzy feel. The use of not only synths and drum-machines, but also live instruments like acoustic and electric guitars, live percussion and wind instruments, adds to the organic flavour. (Igor Ivanov, Michael Teplov & Vladimir Kochenov). Label: FormResonance. Cat.No. : FR007. Format: MP3/WAV. In Moscow, three musicians are coming together, who in turn already made music history: Michael Teploff has done together with Anton Kubikov (aka SCSI-9), the project Multipliar, which was also the beginning of Trapez Records. Within the project "Wunderblock" something new would begin again: Igor Ivanov, the multi-instrumentalist and the third head, Vladimir Kochenov, merge acoustic with analog Elements with an airiness that is proper to all pieces of the EP. Even in "Become Free" begins a journey in which the artists are drawing themselves back off the track that the music can develop itself. Thus does "Kaffel Rmx" on the acoustic elements. 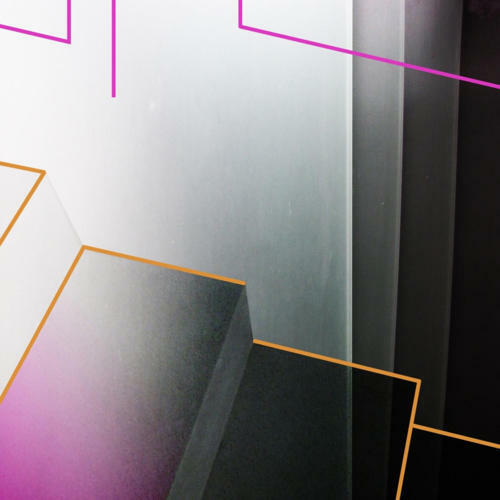 It moves so neatly into orbit that the timeless space of Techno Masters comes into view, which this song with its impressive lightness, simply swept away. "Buddy" works with a subliminal Acid line, Jazzy drums and Rhodes, which takes over the role on "Safari Dub". The swirling Rhodes hits here a slow dubstep beat. The dark, uncertain and their guts to it are making thes pieces to major tracks for FormResonance. The result here is a new sound in a band-like atmosphere and constellation. Keep it up! Label: Erase Records. Cat.No. : ER121. Format: MP3/WAV. 1. Rio (Free Love Mix). 2. Rio (After The Carnival Mix). 3. 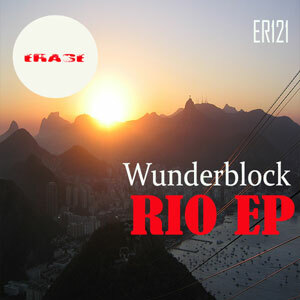 Rio (January Heat Mix). 4. Rio (Spring Spirit Mix). Label: Astor Bell. Cat.No. : ASTOR006. Format: MP3/WAV. Act! is the first release from new Moscow act Wunderblock. The members are however no new kids on this block, but rather three experienced gentlemen bringing their skills and influences together to create something quite extraordinary! This five track EP is high quality minimal techno flaunting innovative thinking and inspiration. Very club friendly, but also airy and at times lightweight in its production, due to layers of percussive rhythm patterns. The combination of samplers, synthesizers and real life instruments adds up to something organic and playful. Opening in an upbeat manner and rounding off more dubby, this release covers a large spectrum of emotions. One moment you're floating through filmic soundscapes, the next you're tap-dancing. An original and outstanding piece of music! label: salo records. cat.no. : salo010. format: 12". label: doggy records. cat.no. : doggycd001. format: cd. label: salo records. cat.no. : salo013. format: cd / 2x12". label: neon magazine. format: cd. label: mt / decada-mb. format: cd. label: citadel records. cat.no. : citadel020. format: cd. label: trapez. cat.no. : trapez001. format: 12". label: trapez. cat.no. : trapez009. format: 12".